How to Strengthen Your Post-Baby Belly Once & For All! Without spending all day at the gym! Discover how to find the optimal alignment for your post baby body. Learn how to strengthen your deep core muscles without doing strenuous exercise or spending all day at the gym. Finally get your entire system working as a whole so that you can start doing the things you love again. Join me on this 1 hour online training where I'll walk you through how hundreds of my clients have gotten rid of their back pain and noodley cores and how you can too! 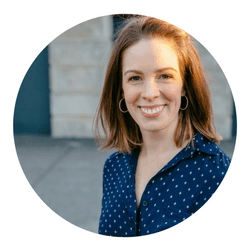 Catherine Middlebrooks, the founder of brb Yoga, is a yoga teacher, postpartum corrective exercise specialist, wife, mom, and the creator of the Heal Your Core with Yoga program.